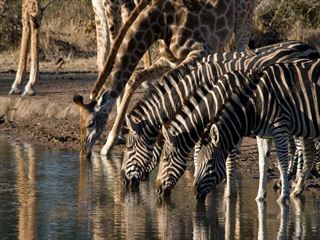 Discover some of Africa’s most beautiful and charming towns on this fantastic 18-night cruise and stay. 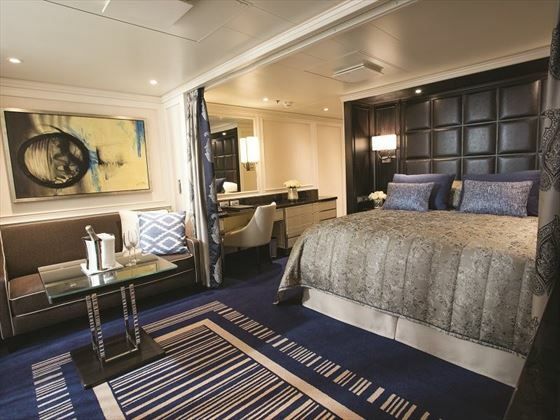 Starting and ending in Cape Town, you’ll begin with three nights in a hotel, before boarding the Seven Seas Explorer for a 14-night cruise to a number of lovely towns in Namibia, Mozambique, and South Africa. 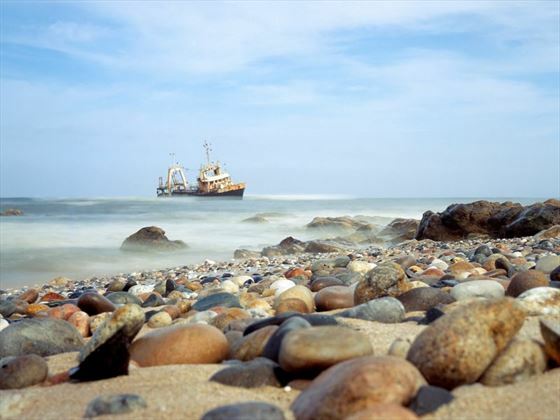 Luderitz and Walvis Bay will introduce you to Namibia’s curiously unique landscapes and attractions, whilst Maputo in Mozambique offers a laidback day of exploring. Meanwhile, trips to Port Elizabeth, East London, Durban, Richards Bay and Mossel Bay are your chance to delve into South Africa’s natural beauty and quintessentially African charm. During many of your stops, you’ll have a few shore excursions to choose from. 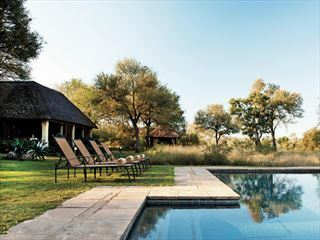 Wildlife enthusiasts will love the exceptional game drives on offer. 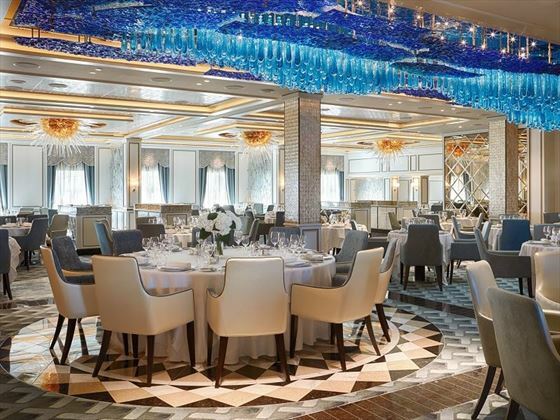 Launched in 2016, Seven Seas Explorer was designed to be the most luxurious ship ever built. 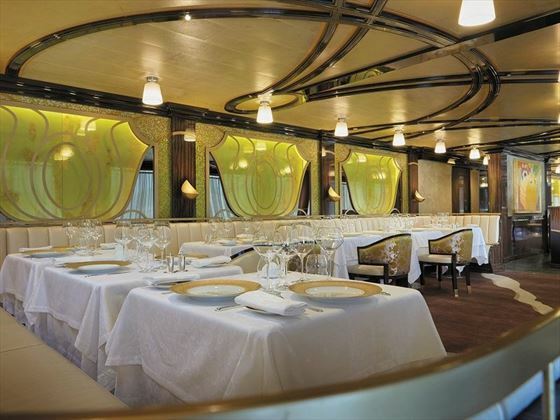 Carrying just 750 guests with 557 crew, quality service, décor and attention to detail is experienced at every turn. All guests have a their own private balcony to relax on and can even order dinner course by course there at no extra cost. 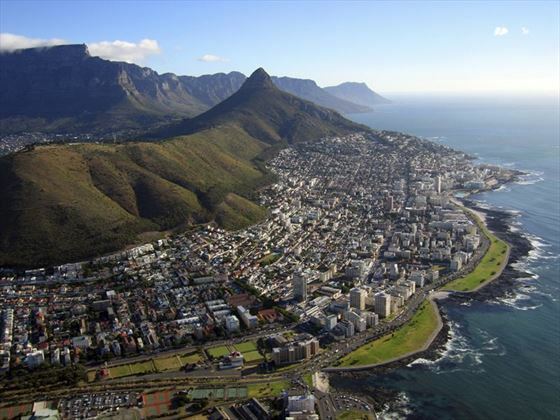 Upon arrival in Cape Town, you will have three nights to explore this beautiful area. Give our knowledgeable travel experts a call to arrange your hotel. 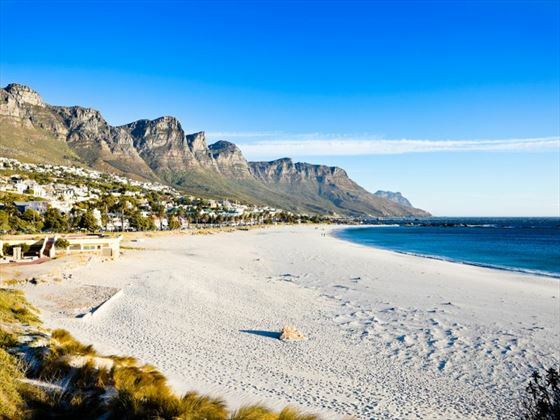 A wonderful city on South Africa’s southwest coast, Cape Town is brimming in unforgettable moments. Relax on the beach amongst wild penguins on Boulders Beach, visit Robben Island, and board a cable car to the top of Table Mountain. You’ll have the day to keep exploring the city, before boarding the Seven Seas Explorer cruise ship at midday. Day five will be spent sailing across the Atlantic Ocean to your next destination. 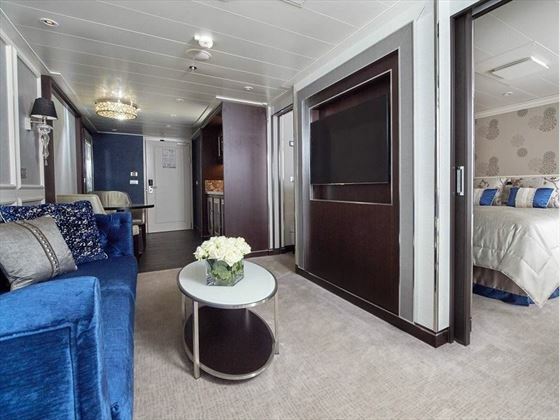 This is a great chance to enjoy the ship’s luxurious amenities, including a casino, a spa, a gorgeous pool deck, and gourmet restaurants. 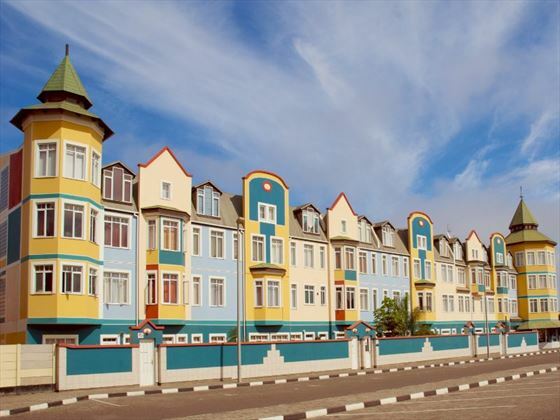 Bright, colourful colonial buildings line the streets of this kooky coastal town. Choose from the array of shore excursions, including a ghost tour around Kolamskop, or a simple stroll along the waterfront adorned with Art Nouveau architecture and home to penguins, sharks, seals and dolphins. Avid bird watchers will love this natural lagoon and deep-sea harbour – a flurry of fuchsia pink flamingos and white pelicans regularly flock to the bay, as well as thousands of other migrating species that fly here annually. The city is also a great gateway to fun desert-fuelled activities. You’ll have two days to explore this marvellous destination, and there’s many shore excursions to fill your time with too. Embark on a half-day lagoon cruise to see the dolphins and seals, discover the Namib Desert via an off-road vehicle, or take a trip to the fascinatingly eerie Swakopmund. The next two days will be spent at sea. Day 9 will be a stretch across the Atlantic Ocean, whilst on Day 10 your journey will take you past the Cape of Good Hope – a jagged headland known for its dramatic scenery. 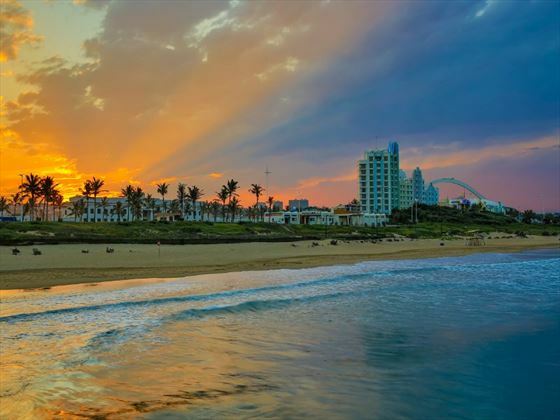 Your port of call today is Port Elizabeth, a picturesque city that marks the endpoint of the Garden Route. Nicknamed the ‘Friendly City’, you’re guaranteed a great time here, especially if you enjoy water sports, scuba diving, and whale watching. There are many immersive shore excursions available here, including a trip to Addo Elephant Park, a game drive through the wildlife abundant Pumba Private Game Reserve, and a trip to the arts and craft centre. Home to South Africa’s only river port and nestled along the Indian Ocean coast between the Buffalo and Nahoon rivers, East London is a vibrant city, and well-loved thanks to its sub-tropical climate and natural beauty. 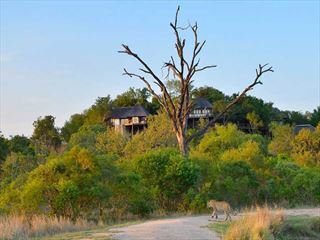 There’s plenty of nearby safari reserves too, ideal for a game drive brimming with wildlife sightings, including Mpongo Game Reserve, and Inkwenkwezi Game Reserve. This charming sub-tropical city will give you a wonderful insight into Africa’s vibrant culture. This is your chance to discover the traditional lifestyle of the Zulu people, as well as exploring the Old Market Square, Golden Mile beachfront, and Gray Street Mosque. Today you will sail across the Indian Ocean to your next destination. Maputo is a wonderfully laidback city, decorated with a blend of colonial palaces and modern high-rise architecture. There’s lots of great attractions to explore here, including The Cathedral, Mercado Central (best seen with a bag of freshly roasted cashews in your hand), the National Museum of Art, and Avenida Julius Nyerere – adorned with boutiques and restaurants. 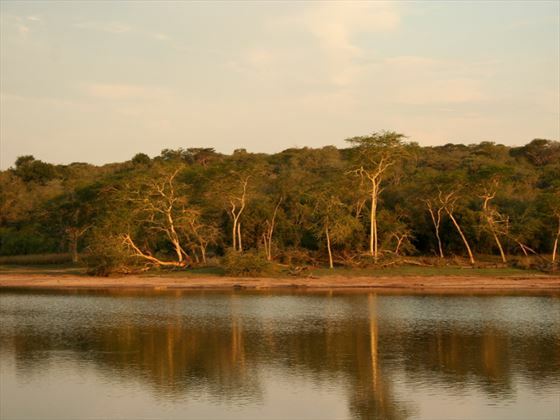 One of South Africa’s largest harbours, Richards Bay is well renowned for its stunning beaches and luscious wetland scenery. This characterful town has a wonderful summery climate all your round, and is home to the visitor entrance to Zululand. Another day sailing across the crystal-clear Indian Ocean. This town is a fantastic beachside destination, with at least 300 days of sunshine each year, and more than 37 miles of pristine beach. There are many lovely museums to explore, and we’d recommend visiting the Cape St Blaize Lighthouse. Today you will arrive back in Cape Town, where your cruise will end.